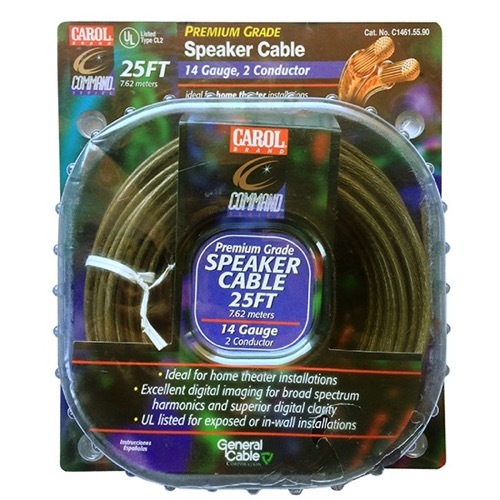 Carol 14 gauge / 2 conductor Premium Grade Speaker cable, 25 ft package by Carol Command Series. Ideal for home theater installations. Exceptional digital imaging for broad spectrum harmonics and superior digital clarity. UL listed for exposed or in-wall installation. Package for retail display.